Look after your body while you run. Here's how to lower your chances of getting injured. Running is fantastic for your health, but there is always the potential for injury. Some research even suggests that 70% of runners are sidelined by an overuse injury at some point throughout the year, potentially undoing weeks of hard work. Here are four ways to keep your body in shape and lower your chances of picking up a preventable injury. Footwear is one of the most important considerations you’ll have to make when starting your running journey. Don’t wear any old sneakers – why not double down on your commitment and get some new running shoes? Not everyone’s feet are the same, and dedicated running shoes have many different 'ride' options, mainly depending on how your foot makes contact with the ground. Although it’s tempting to shop around on the internet for the best deal on shoes, if you don’t have much experience with which brands work for you, a proper fitting by a dedicated running store will never go astray. Check out our guide to choosing running shoes for more tips. Going from a low level of exercise to running a few kilometres each day is a big adjustment for your body. You might even feel really good for the first week as you exercise more than you normally would, but your body isn’t used to the impact. Especially when you’re starting out, make sure that you’re warming up properly. It’s always okay to alternate between walking and jogging as well – as you get fitter, you’ll end up walking less. Try joining a running group with runners of your ability, or attending your local parkrun. This free weekly running event has athletes of every level on the same 5 km course, and they’re all ready to encourage you on towards the finish line, no matter your pace. "It’s important to give your body time to rest and recover. Muscle is built and repaired during recovery time." You might be super-motivated, but it’s important to give your body time to rest and recover. Muscle is built and repaired during recovery time, so proper rest will actually help make you stronger. When you begin running regularly, it’s important to make sure you don’t run every day. Try mixing up your training schedule with different activities and a couple of rest days every week. Running performance isn’t just about fitness – it’s also about strength. You may think it’s all in your legs and lungs, but there are many individual muscle groups that your body uses when you run. Unless you’re a professional, you’re probably not running with absolute perfect form, so one muscle group may get used disproportionately, making it more susceptible to injury. To minimise your chances of injury, it's a great idea to work some simple strength exercises into your exercise routine. 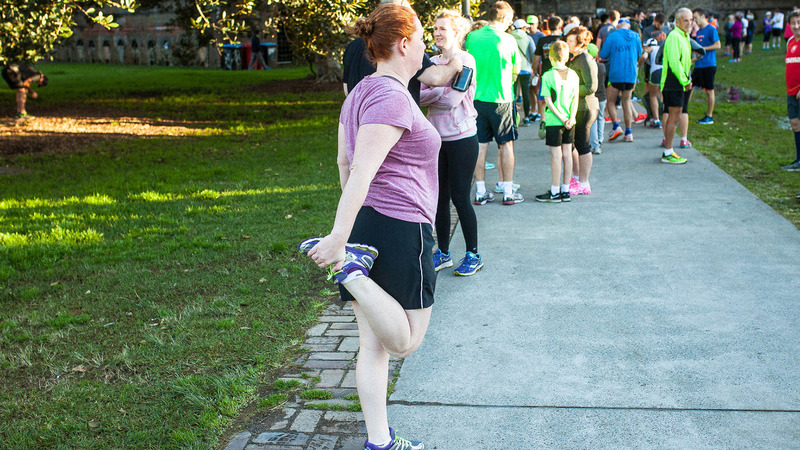 Medibank is proud to partner with parkrun, a non-profit organisation that hosts weekly 5 km running events, all across Australia and the world. Best of all, it’s held early in the morning on a Saturday or Sunday, and it’s 100% free. It’s not about competing with other people – it’s about pushing yourself to be better, one step at a time.